Cryptocurrencies may be the best performing assets for investment in 2019. This will come following a prolonged bear cycle in stock markets characterized by persistent and recurrent volatilities. Crypto markets are also prone to price slumps and long bear cycles, but bears are proving too difficult to avert as the world ushers in 2019. US President Donald Trump is in office until 2020. Further, all experts agree that it would be next to impossible for any Democratic party candidate to defeat him owing to the college vote system of Presidential elections, an ever-expanding Trump base, a strong economy, divisions in the Democratic party between the millennials and the old guards and even the spectacular US economy whose growth is nowhere near from slowing down. Hence, the US will engage in a trade war with China, and the EU and this may likely affect Stock markets as risks of reduced international trade will always be in the offing. Meanwhile, regulatory agencies are the only major contributor to Crypto markets instabilities. However, in the recent past, most of these institutions have taken a different approach of nurturing Digital Assets to protect investors and ensure industry maturity. Hence, on the aspect of third-party caused volatilities, Cryptos are more secure than mainstream stocks and therefore deemed to be comparatively stable. 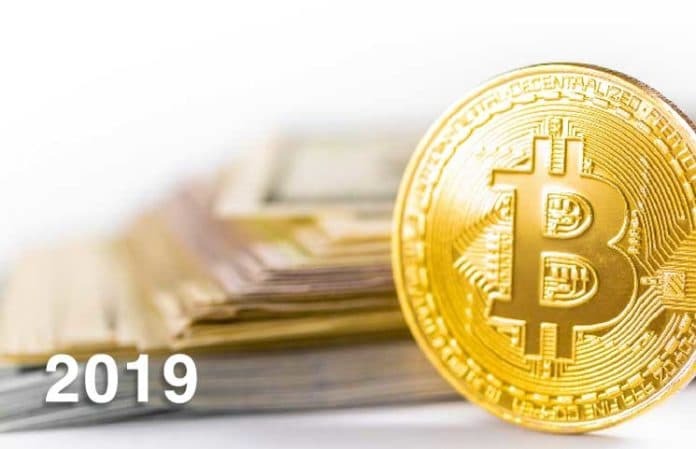 The projection that Digital Assets will be the best performing asset class in 2019, is premised on the decision by the U.S Federal Reserve to discard the use of quantitative easing (QE) method in monetary policies for quantitative tightening. QE strategy involves buying mortgage-backed securities and government bonds and lowering interest rates. The end result of such measures is to spur economic activities by increasing the market liquidity by raising the amount of money in circulation. Meanwhile, the Fed started using QT in 2017. And was followed by the European Central Bank (ECB) and the Bank of Japan (BOJ). According to Travis Kling, a self-made ex-equities portfolio manager, many other countries are following suit and this will become a global phenomenon very “soon”. The QT method entails governments declining bond holdings and instead rising interest rates to avoid inflation as is the case in the US. Although this is raising fear of a global recession, there is an immediate impact where economies are operating under their own characteristics and the picture is almost accurate to the levels of GDP on the ground. Replacing QE for QT strategy of managing market liquidity will lead to money supply constraints. Further, mainstream assets will yield lower interest earnings as interest rates will tend to be low. Hence, most investors will prefer to place their money in Crypto assets in speculation for a bull run. This will ease selling pressures in this asset class market, further raise prices and attract more investors. However, opinion is divided and other unforeseen events may change the outlook.